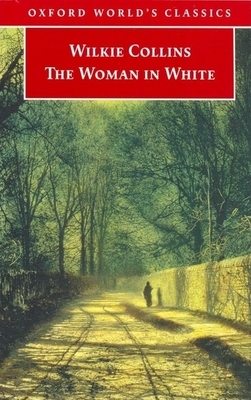 The Woman in White (1859-60) is the first and greatest "Sensation Novel." Walter Hartright's mysterious midnight encounter with the woman in white draws him into a vortex of crime, poison, kidnapping, and international intrigue. This new critical edition is the first to use the original manuscript of the novel. John Sutherland examines Collins's contribution to Victorian fiction, traces his practices as a creator of plot, and provides a chronology of the novel's complicated events. Lord Northcliffe Professor of English at University College, London, John Sutherland has edited numerous World's Classics, including several Trollopes, and Jack London. He is associate general-editor of Oxford Popular Fiction, and is currently editing the Oxford Companion to Popular Fiction.